What are brownies? No, they couldn’t possibly be simply a flat, baked chocolate dessert. Not even a cross between a cake and a soft cookie. According to us at Dello Mano, Brownies are little slices of heaven, period 🙂 They make us feel happy, period. And they satisfy our sweet tooth (without being too sweet), period! And since we all can’t get enough of brownies, here are 6 fun, intriguing facts that you probably didn’t know about these delicious little morsels. Brownies are a ‘sweet mistake’. Like many other culinary mishaps that turn to ongoing recipes or products, the first brownies were not supposed to be brownies. They were supposed to be cookies! It’s just that the baker didn’t have baking powder at that time. So when it came out of the oven, what the baker got was a fudgy, unleavened treat. Yes, brownies were a mistake. But what a sweet mistake! Chocolate was just a second, sweet option. Brownies today are known for their chocolaty goodness and rich, fudgy texture. But did you know that the first brownies made didn’t actually contain chocolate? It was simply a mixture of butter, eggs, sugar and flour. And no, they weren’t called ‘brownies’. They were called ‘blondies’. The first Blondie recipe was published in 1893 in Boston Cooking-School Cook Book. In 1905, the recipe was modified to include chocolate. And on that very day, brownies became even more popular. The largest brownie weighed 3K pounds. In an effort to raise funds for the families of the victims of the World Trade Centre attacks, chefs in New York created the world’s largest brownie. It weighed 3,000 pounds, and used 750 pounds of chocolate chips, 500 pounds of flour, and 500 pounds of butter! That’s one really huge, monster brownie! Brownies are the ultimate comfort food. Like mashed potato and apple pie, brownies have really conquered the world of comfort food and continue to do so. Many people have their own childhood memory of brownies. We may differ in terms of the preference for texture, sweetness or chocolate levels, but at the end of the day – it’s still a brownie that we enjoy. We celebrate brownies four times a year! You probably are familiar with 8th of December as the National Brownie Day. But other than this, we also have the National Blonde Brownie Day (celebrated every 22nd of January), National Cream Cheese Brownie Day, (9th of May), and National Butterscotch Brownie Day (9th of May). 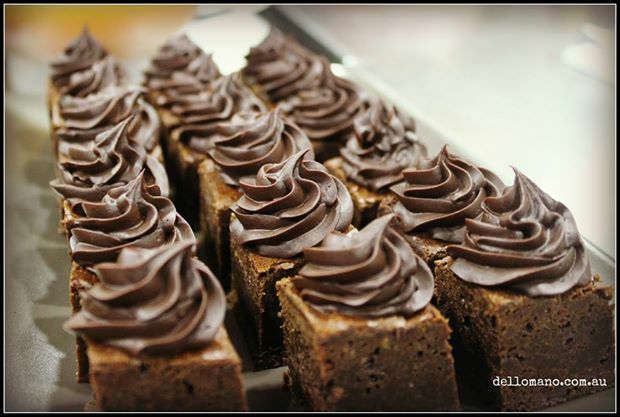 Yes, here at Dello Mano, we celebrate brownies more than we celebrate Christmas:) ! There’s no day or night with brownies. Brownies are something you can enjoy as a dessert for brunch, an afternoon snack, or a bedtime treat (with a glass of milk). And it doesn’t call for a special occasion for us to indulge in delicious brownies, although they are popular as chocolate gifts. How about you, what time of the day do you enjoy brownies the most? 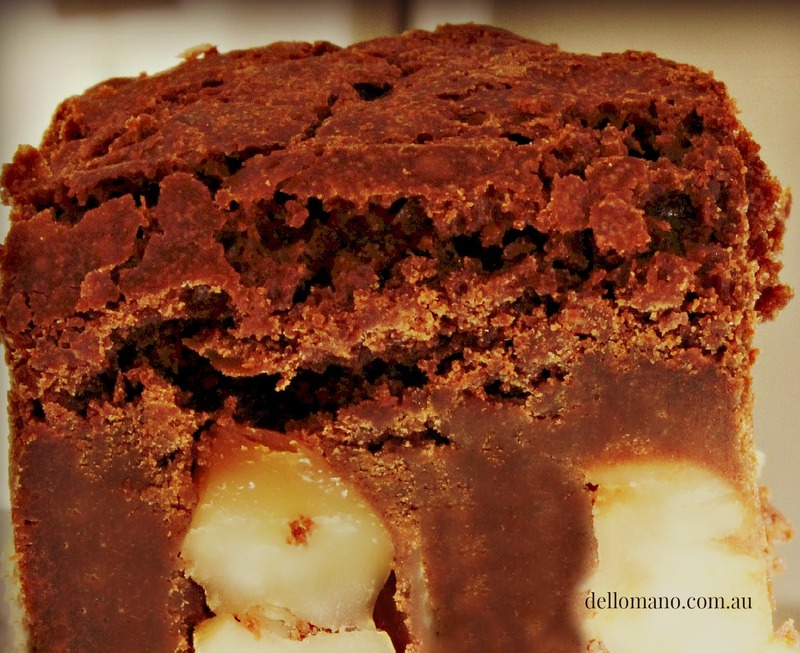 Previous postWhat Makes Dello Mano Brownies a Work of Art? Brownies are definitely the ultimate comfort food!!! I dream of a 3000 pound Dello Mano Brownie!